On Thursday and Friday, Randolph students presented the results of various research projects during the 2017 Symposium of Artists and Scholars. 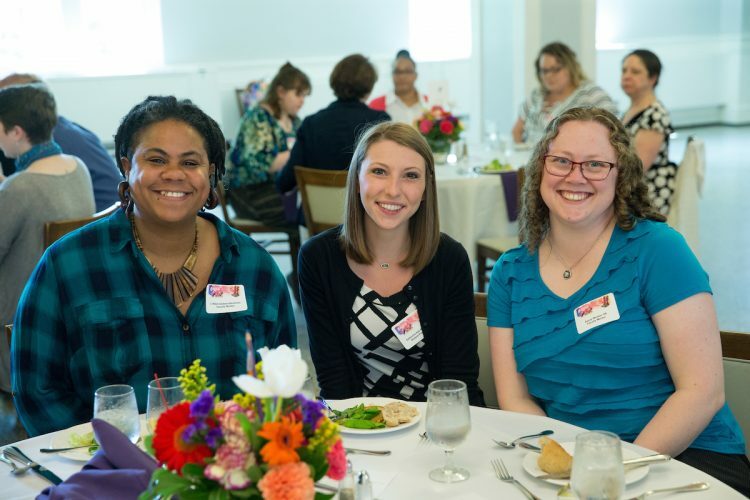 They also used the opportunity to thank the generous alumnae and other donors who have helped fund their research and other college experiences. The Symposium of Artists and Scholars luncheon honored scholarship benefactors and recipients, students and their advisors presenting work at the symposium, and members of the Quillian Society. 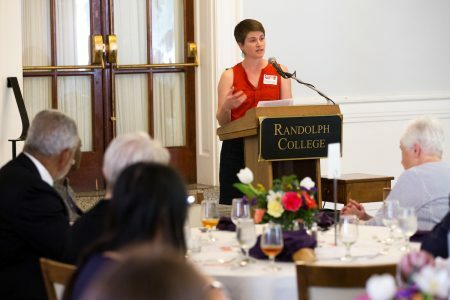 In addition to the conversations between students and the donors, keynote speaker Margaret Krome-Lukens ’07 shared how scholarships helped her achieve an interdisciplinary education at the College, which helped prepare her for a career in agriculture. She is a project manager for Rural Advancement Foundation International’s (RAFI) Beyond Hunger Relief Program, which exists to identify, develop, and expand sustainable solutions to food insecurity and strengthen just and sustainable agriculture. Presentations at the 2017 Symposium of Artists and Scholars ranged from solving advanced mathematics and physics equations to offering solutions to social justice issues. 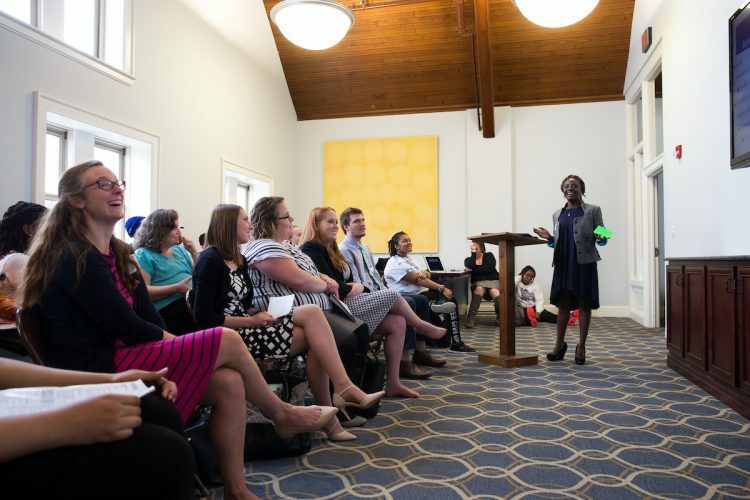 Sociology major Yolanda Cobblah ’17 presented “Immigration: The Adjustment Process for Higher Learning in the U.S,” which examined why international student enrollment is declining in the United States. She also researched the barriers and difficulties international students face, such as language, homesickness and depression, and distorted views of the country because of media perception. Cobblah said some solutions to these issues might be for colleges to implement better counseling and support systems for international students as well as more cultural events and exchanges between students. She mentioned that intramural sports from other cultures, like cricket, have proven to strengthen bonds between students. 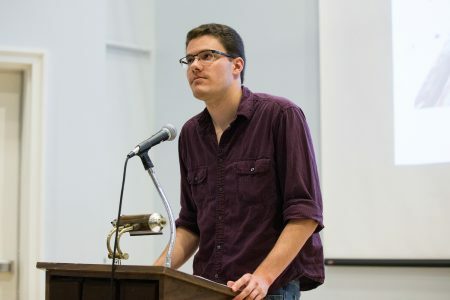 Grant Collier ’16, a candidate for Randolph’s Master of Arts in Teaching (M.A.T.) program, presented “A Modern Approach to Homework in a Rural Area: Using Educational Videos to Reduce out of Classroom Work Load at the High School Level.” As a math teacher at Amherst County High School, he investigated whether replacing traditional homework with brief videos could be an effective way to better reach and retain interest from students, and ultimately improve test scores. In the end, he saw little difference in test scores between this new strategy and the traditional homework method. In its ninth year, the Symposium brings together artists and scholars of all disciplines to share the results and highlights the best work being produced at the College. Modeled after a traditional academic conference, the event features a keynote speaker and luncheon, oral presentations, readings of creative works, musical performances, exhibitions of student artwork, and poster presentations. The full program and list of presentations for the 2017 Symposium of Artists and Scholars is available at http://www.randolphcollege.edu/research/wp-content/uploads/sites/52/2017/04/RC-Apr17-SAS-Program-Final.pdf.